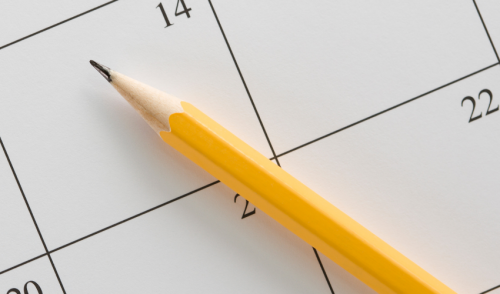 Using an appointment sales script will help close more jobs—and grow margins. Contractors spend a lot of time getting leads. But unless they can convert those leads into appointments—and paying customers—they’re dead in the water. Soules is a partner in Remodeling Business Blueprint with David Hawkes. In one of their recent episodes, the two reviewed a sales script that Hawkes said results in 90 percent close ratios of jobs he wanted. Soules also said the script creates a smoother overall job—and higher profits. When you call the customer back, let them know that you’re excited about their project and subtly compliment them. Then explain that you want to spend a few moments going over how the initial consultation will go. Soule said this step begins to set expectations and sets up professionalism. “If you set expectations on first contact, you’re going to have a much smoother project,” he said. Next, you’ll want to let the customer know about how long the consultation will take. This is a good time to tell them that they can review your presentation book —a binder of your licenses, contracts, change orders and other business materials so the customer can see how professionally you run your business. If you don’t have this binder, create one, Soules recommended. “Every time I use that, they say, ‘That is just so professional,’ because nobody else did it,” he said. At this point in the script, it’s time to get to what most customers want: an estimate. This is when to set expectations for how the estimate will be formed and remind the customer that’s it will only be a ballpark estimate. Be sure to inform them that no one can give an accurate price at this stage. But you can give a firm price for any design work that will be necessary. Soules and Hawkes agreed that contractors should charge for design work. “Very subtly, you’re saying, ‘You’re going to pay for this design,” Soules said. Once you’ve established the initial estimate and design fees, it’s time to explain how the design phase works. Soules tells customers that “after you sign,” not, “if you sign” a design agreement, a designer will come to the house, take pictures and measure areas affected. He also provides built home drawings as well as before and after drawings as part of the design phase. He said it’s important to tell customers how long the designer will be there — four hours in his case — and that their time won’t be required. “They’re starting to salivate at this point,” Soules said. This next stage is crucial: it’s time to get buy-in from the customer. First find if they have any questions, then provide answers. Once the customer is done with questions, Soules simply says, “Does that sound like a good plan to you?” If the customer says yes, contractors have all but sold the project—and set expectations going forward. “They just bought into every condition you laid out for them,” he said.